Our main supplier of herbs is truly on a mission to get the word out there to let everyone – not only the aficionados of ayurveda – know how herbs can be of massive benefit when it comes to improving our health and wellbeing. I, a practitioner of ayurveda, am well aware of the power of herbs and use this particular brand in my practice because the products are certified organic, ethically sourced from small producers and are also a local brand, which is important when I source products for my retail space. 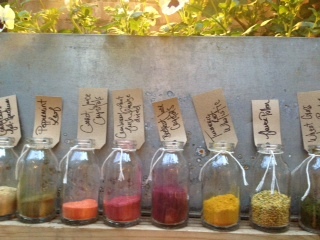 I went to a PR launch event in Shoreditch where the revamped selection of their herbal products was presented in a fashion that would easily win over anyone’s mind to the enchanting world of herbs. There was a garden for fresh herbs to taste, teas to try (and I must say that these new entries in their selection rock), a chat with the founders of Pukka Herbs, a mocktail bar of herbal superfoods and a super calming and energizing session at the same time of gong therapy. It’s certainly a clever way to get the mind to relax after a full day of work and receive all the information about the new products. I must say am very intrigued by their new “wholistic herbs”. I was presented with cinnamon and turmeric – a taste of each was quite mind-blowing. 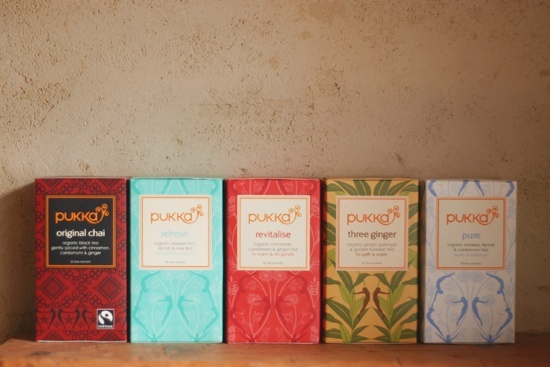 Pukka Herbs has worked to develop a very concentrated form of a single herb, not by singling out an active ingredient (for example extracting curcumin out of turmeric) but making a concentration out of a liquid herbal decoction, an alcoholic herbal infusion and an infusion of the specific herb in CO2. The result is powerful. I tasted a cinnamon that was ten times stronger in taste than the normal. They have then created ranges to suit our everyday needs for prevention and healing: products to sustain our “get up and go”, Digestives, Vitalisers, for Female health, for Moods and for Cleansing. Compared to the earlier Pukka Herbs selection I think this new branding provides an easier way to navigate through different herbal products giving direct information on the action of different herbs. I keep a stock of loose herbs by Pukka, which I prescribe on the spot for clients who come for a health consultation as this is the way I work with individuals who come to me for specific health issues. When you have an ad hoc need of a supplement of quality and safety, you will soon find a selection of the new wholistic range in our shop.